Get up to 7 free auto shipping quotes from the largest, most trusted West Virginia auto transport companies and save up to 50% on your car shipping rates at CarMoves.com. Car shipping companies in West Virginia compete for your business, which is how you can save hundreds, if not thousands of dollars on car transport services by shopping with us. Whether you're shipping a car to West Virginia, across the country, or even overseas, we can help you get the best price on your shipment - guaranteed! Read more about the following auto transport companies in West Virginia before getting a quote. Click on the name of the company to read a full review. Get a free auto transport quote today to find out how much it costs to ship a car to or from West Virginia! 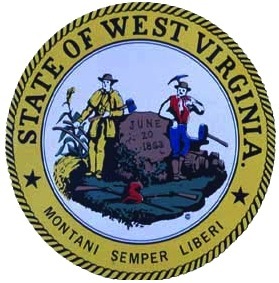 West Virginia is a small, lightly populated state that is, technically, part of the South region of the United States. However, West Virginia differs from other Southern states, including its immediate neighbor, in historically significant ways. The state split from Virginia during the greatly divisive Civil War, a result of West Virginia's anti-slavery and pro-Union stance. The Wheeling Convention was the stage for the state's struggle for independence from Virginia proper, occurring in Wheeling, which became the state's first capital. Since coal mining was West Virginia's main industry, a status that has changed little today, the economic output of the state aligned better with the industrial states in the North. Due to West Virginia's large amount of energy exports from coal mining and electricity production, the state has one of the highest GDPs in the nation. Tourism in "the Mountain State" relies largely on its vast mountainous terrain. West Virginia is smack dab in the middle of the Appalachian Mountain Range, and three fourths of the state lies within two plateau ranges: the Allegheny and Cumberland plateaus. As a result, hiking, mountain biking, and rock climbing are all popular activities. The Ohio River and the Shenandoah River also provide opportunities for fishing, rafting and kayaking. The Appalachian region also has a distinctive cultural in the moral rural areas, which has its own music and lifestyle that visitors might appreciate. The state also has more classical music alternatives in its major cities. Most cities in West Virginia lie in the western and northern portions of the state. Charleston, the state's largest city and its capital, lies in the southwest. Compared to other local cities, Charleston has a greater job diversity, with abundant positions available in the medical, education, and, of course, local government fields. Not to mention, the festivities in Charleston outmatch those offered anywhere else in the state, with it hosting the West Virginia International Film Festival and Symphony Sunday, a day-long festival celebrating the sweet, sweet symphony music combined with a spectacular fireworks showcase. Otherwise, swimming, golfing and relaxing are all possible at the city's largest park: Cato Park. Finally, the city contains one of the largest malls in the state: Charleston Town Center, found in the charming downtown area. CarMoves.com works with car shipping companies throughout the state of West Virginia. We can help you get the best prices on car transport services to the following cities in West Virginia: Charleston, Huntington, Parkersburg, Morgantown, Wheeling, Weirton, Fairmont and many more. If you don't see your city listed, don't worry - we can get your vehicle shipped anywhere in West Virginia. Scroll to the quote section on this page to compare free auto shipping quotes from up to 7 West Virginia auto transport companies and save up to 50% on your move! View the West Virginia Department of Transportation website for more information.